How do you mess that up? | McServed: Getting Served McDonalds Fast Food Funnies, Laughs and More! How do you mess that up? 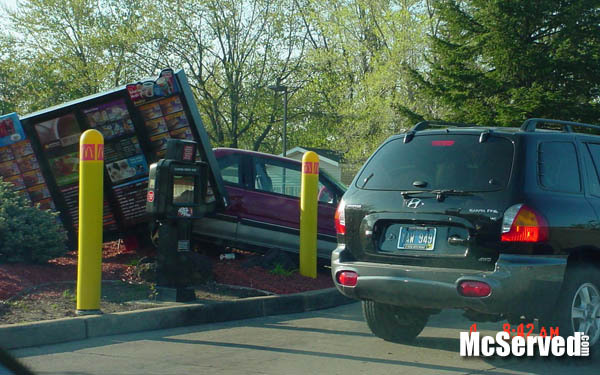 Drive straight, order, then go on to the next window. How do you mess that up? Outside of intentionally having it out for the menu board, there should be no reason for this in any known dimension. I’ll give them the benefit of the doubt, it could of been drive in reverse day. Outside, Picturestags: car accident, crash. Somehow they got around the protective yellow poles too!